The DBR-25WH is a portable heavy-duty electric/hydraulic rebar bender and straightener. It helps save valuable man-hours by cleanly and efficiently bending or straightening bent rebar. It functions as a simple 90-degree portable electric rebar bender. The interchangeable bending hook covers rebar diameters from #4 to #8 grade 60. Maximum pressure for bending and straightening ranges from 8.5 to 11 tons. 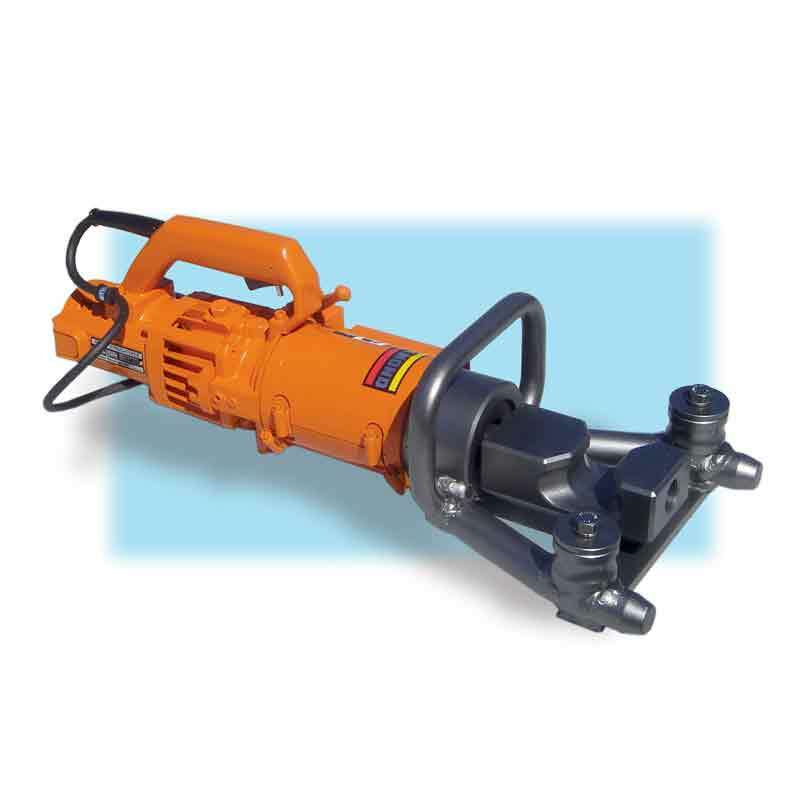 It’s portable and versatile enough to bend or straighten rebar in-place with its push/pull hydraulic capabilities. It will bend a 90-degree angle in only (4) seconds. The bending head also rotates 360 degrees. Ships complete in a wooden carrying case with hydraulic oil and a tool kit. Solves bending applications other tools can’t even attempt.